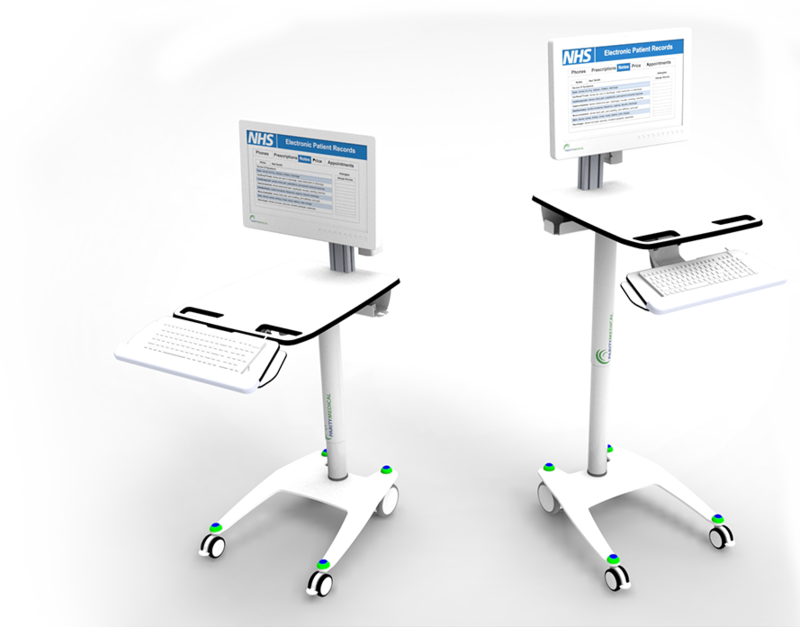 A completely new ergonomic nurse led design to provide the ultimate combination of functionality, mobility & user comfort. Versatile, lightweight & durable – it’s perfect for EPR at the point of care. Ergonomics & Comfort. For everyone. Our innovative Medical All In One PC has hot swappable batteries to ensure completely wireless 24/7 constant power. 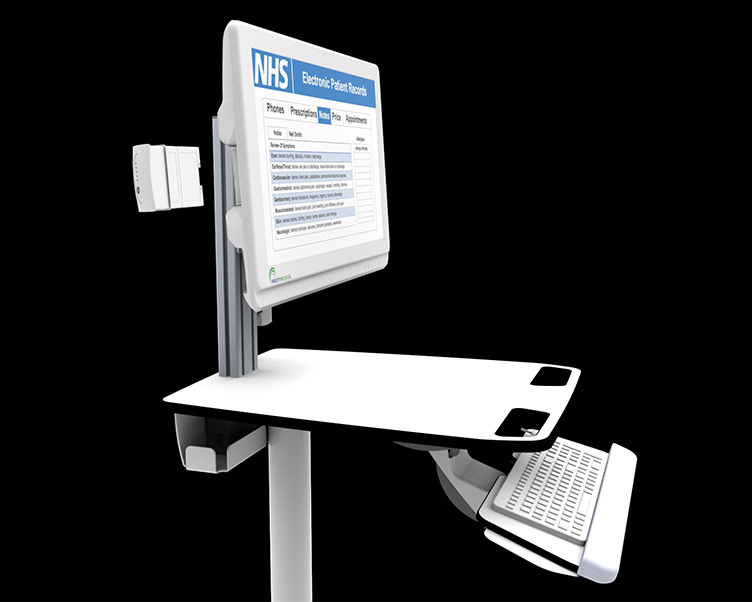 It has an intuitive touch screen with 19, 22 & 24 inch screen sizes to suit the demands of any EPR system, including Cerner, EPIC, JACS and Meditech. Configured to meet your EPR project. Versatile to suit your specific workflow needs. Some EPR projects may require a scanner, some may require a sharps bin. Whatever configuration you need, we have the capability to ensure your VersaLite EPR is specific to you. As your projects evolve, so does your workstation. 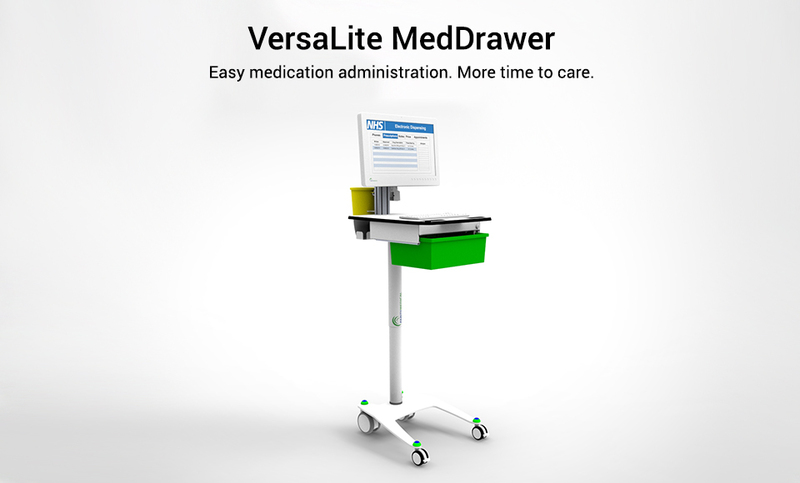 The VersaLite EPR’s modular design means your solution can be adapted to meet your needs. 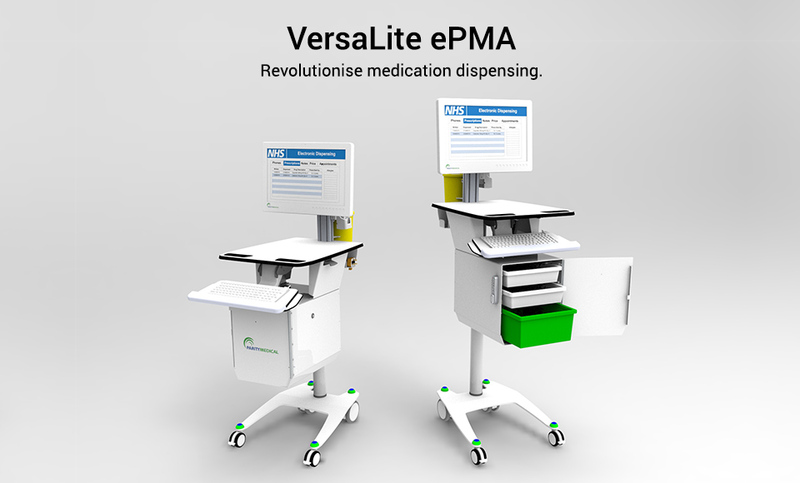 For example, if your Hospital evolves from EPR to ePMA, the VersaLite EPR can too.